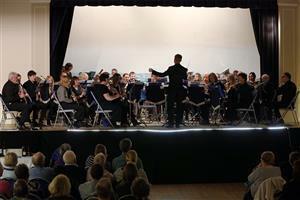 The Sandwich Concert Band, formed in 2011, is a community organisation constituted through Making Music. It welcomes young and not-so-young players of wind, brass and percussion instruments without audition, but nonetheless striving to perform at a high standard. Our Concert Band musicians are at least Grade 5 standard and comprise a number of music teachers and former professional musicians. Less experienced players perform with the Training Band which encourages and develops those playing at approximately Grades 1 or 2 upwards. If you are interested in joining either group, please see the Recruitment section of our main website. During the year the Band perform at around 4 or 5 concerts or events, including bandstands and outdoor concerts in the summer and a festive concert at Christmas. 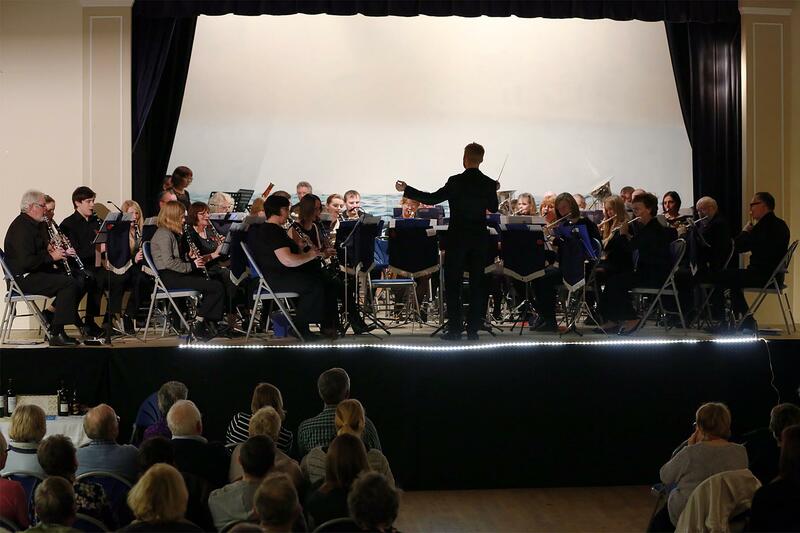 The music is diverse and chosen to suit the occasion but will include a mix of marches, classical transcriptions, music from films and shows as well as good symphonic band music. Programmes often include music that features sections from the Band or individuals in solo numbers. The Sandwich Concert Band is also able to provide smaller wind ensembles for local functions and events. If you are interested in having the full band or an ensemble perform at your event, please Contact us.